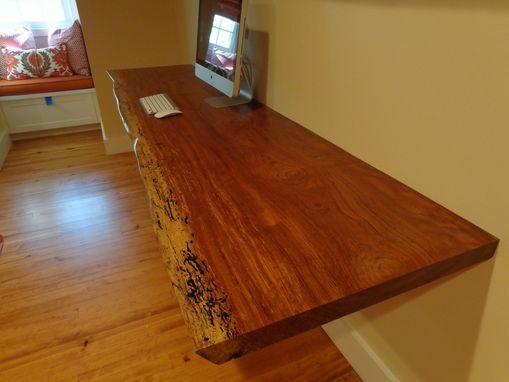 2" thick Bubinga live edge floating desk and shelves. 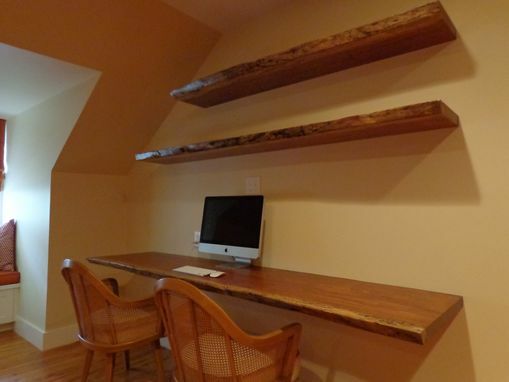 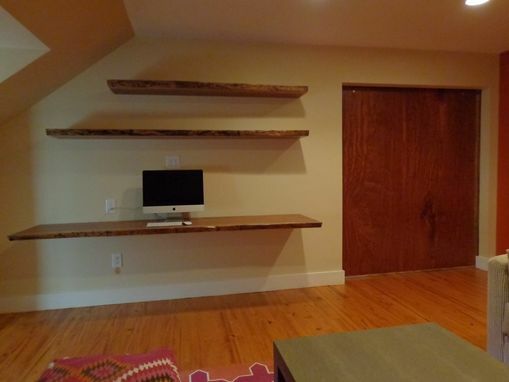 Desk is 8' long by 2' deep, shelves stagger in width due to the sloped ceiling and are 1' deep. 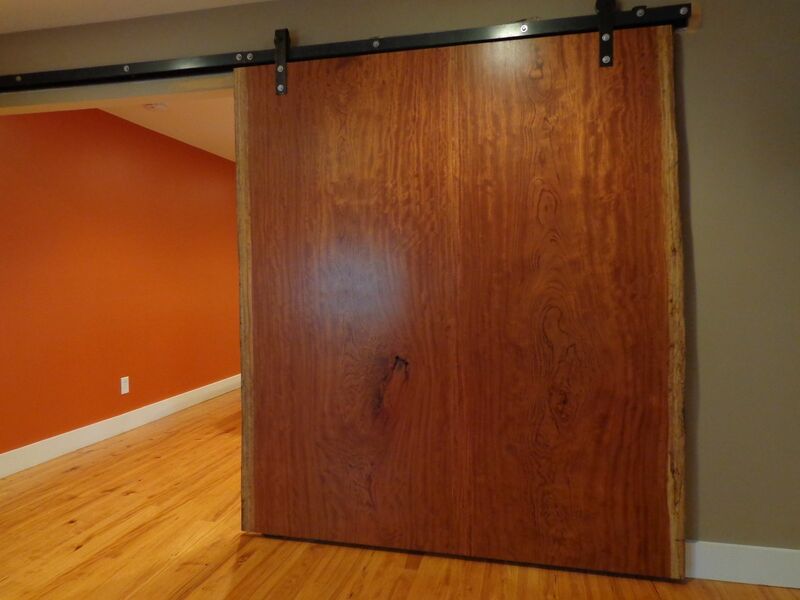 2" thick Bubinga "Barn Door" with live edge on both vertical edges 73" wide x 7' high. Mounted on black steel barn door hardware. 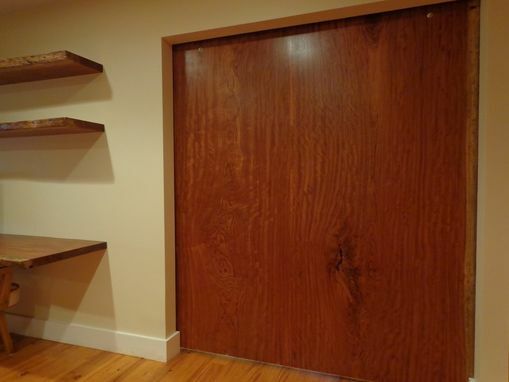 All pieces above are finished with a clear precatalyzed lacquer.